Home Education How to become a successful trader? 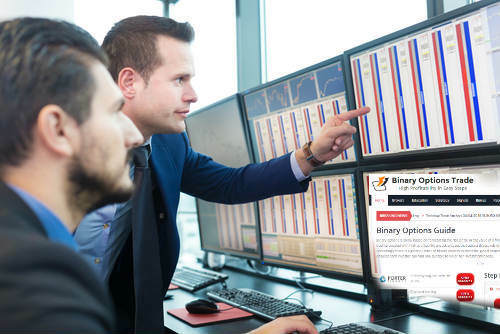 The world of trading is full with excitement and interest, the binary option provides a variety of trading tools and opportunities to gain profits, in order to become a successful trader you need like any other business to have a plan, the plan should include budget (initial deposit), money management, broker, and strategy. It doesn’t matter if you wish to increase your income or take it as your main profession, the way to success requires insistence and persistence, one of the key reasons to become a succeful trader is to constantly learn from your actions and optimize the way you trade. How much money you are willing to risk? For a trader that makes his first steps at the market, the initial deposit should be the amount that you are willing to give away, of course you should aspire and be smart to increase the initial deposit but you should also take into account that the first amount can be your training fee towards your goal – to be a good trader. Which broker you should choose? Before you search every broker you should be aware that some of the countries allowing you to open an account for specific brokers, usually it’s due to regulation, leverage levels and trading instruments. As you make your first steps to the binary option market it will be great if you can have a nice bonus for your initial deposit. That basically the things you should check, but eventually what’s more important is how your actions as a trader will bring you closer to your goal. The advantage of opening a demo account is that you get to know the brokers platform and you can try a few of non risk trades, yet, most of the binary option platform are so intuitive and easy that it’s possible to hit your first trades without any difficulties. A big disadvantage when you initiate with Demo account is that you don’t risk any real money so it doesn’t reflects a real actions on the markets with all the thrill, money management and risk. So in-fact the effect of the demo experience causes you to adopt bad habits from the very beginning that will be very difficult to change, once you gain confidence with non-risk money in most cases it changes when you switch to real account. The best way to become a professional trader is to jump into the water to the real trading world, it can be with small amount of money to begin with, take it as a learning fee that you might gain more at the first chance. What timeframes you are wish and able to trade? Which trading hours you would like to trade? Once you decided on a specific strategy, begin with small amount of risk. Determine the amount of each transaction and document your activity in order to follow with your own rules and to learn from loses and winnings. Write down your monthly goal and plan how to get there while keeping in mind that some of your trades will end up with some loses – it’s part of the business. This is the most important key elements to become a successful trader, It’s all about controlling your emotions, no matter what happen you should stick to the rules and method you set for yourself, the best thing you can do after you experience a bad trade is to back off, try to learn from the bad trade you had and relax, only after you accept the lose you may back to trade, rule number one is not to trade when you anxious or frustrated it will only cause you damage and will keep you away from your goal. On the other hand, you may experience sequential number of successful trades, It’s important not to get in hubris and to remember that loses are natural thing when you trade. 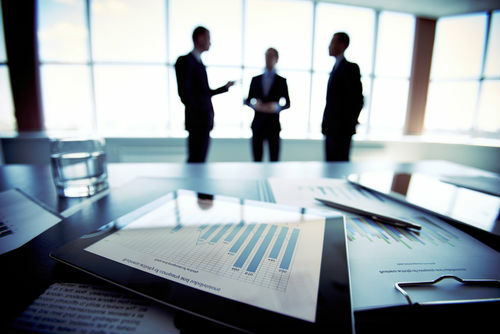 Anyone can be a successful trader on the binary option market, it’s all about managing yourself like a standalone business, and like in every business that has its own offices, working time and method it’s exactly the same, determine the amount of your initial deposit you are willing to risk, choose the right broker, embrace a strategy that will fit to your character and abilities, create a plan for money management and always work on controlling your emotions in order to stick to the plan.